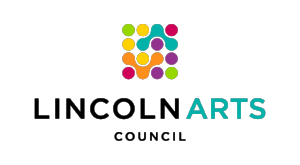 Championing the arts, connecting people, changing lives through project grants, taking teaching artists to the underserved, and focusing community resources on arts accessibility. $100 pays for 2.5 hours of a teaching artist’s time in residency at a limited resource school in Lincoln. $250 covers the scholarship for one first-time festival artist to show at the Lincoln Arts Festival. Now imagine the transformation for John, who is rising to greet the resident artist, looking her in the eye and engaging in positive conversation. Visualize the freedom for Terese when she finally “let go,” and just began looping large free-hand circles on her paper. “Look at me! I’m drawing!” It may be difficult to imagine a life without the simplest of art materials. Harder still to comprehend an environment devoid of positive reinforcement or the opportunity to experiment and create. Just know this – for some people, experiencing the arts genuinely changes their life. This is the work we get excited about. This is the work you support with a donation to the Lincoln Arts Council.